The exact cause of Bell's palsy is unknown, and some believe the condition is an inflammatory reaction to an infection by viral meningitis or herpes simplex, explains The National Institute of Neurological Disorders and Stroke. The reaction causes compression and swelling of the facial nerve within the Fallopian canal. Other possible causes include herpes zoster, coxsackievirus, cytomegalovirus, adenovirus, Epstein-Barr virus, mumps, rubella, influenza B, Lyme disease and sarcoidosis, notes The Merck Manual Professional Edition. 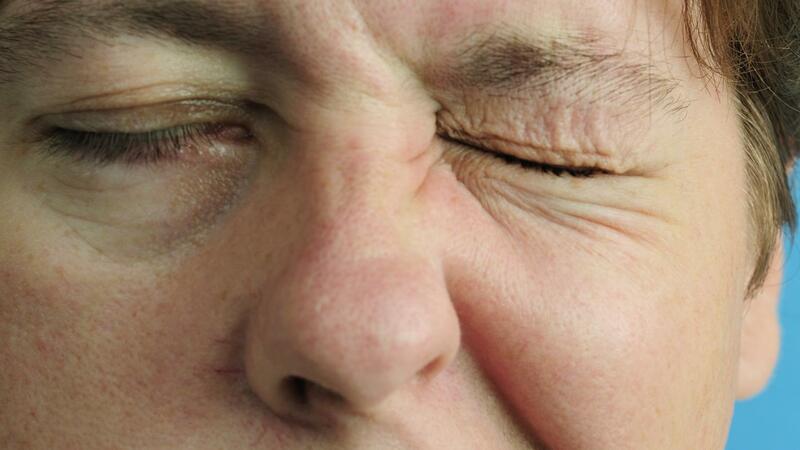 Bell’s palsy can affect one or both sides of the face, and symptoms include pain behind the ear, facial paralysis and a feeling of numbness and heaviness of the face. The affected side often becomes flat and expressionless, and patients usually lose the ability to wrinkle the forehead, blink and grimace. Most people with Bell’s palsy recover without treatment within one to two months, and some patients may have permanent muscle weakness and problems on the affected side, according to WebMD. Chances for recovery improve with corticosteroid medications, which work best when taken within three days of the onset of symptoms. Self-care at home can help with recovery and includes facial exercises, eye care and mouth care. Facial exercises can help strengthen the muscles on the affected side and involve tightening and relaxing the face. What Causes a Burning Sensation in the Lower Back? What Does It Mean If You Start Jerking in Your Sleep?